It’s already time for this year to end and I decided to take a look back with the help of WordPress.com’s annual report. From what I already saw in May did the Fandom posts indeed became the most read ones. Does this now mean for me that I should write more Fandom posts to please my readers? Well, I certainly will continue to write about some of it, but I’ll pick the topics that interest me most. Other than that did I manage to write an incredible amount of posts in these past twelve months, though that is mostly thanks to the Weekend Guesses and my Advent Calendar with together a total of 69 posts. I nearly managed to write my 200th post in this year as well, but I’m short 17 posts. Most interesting for me in this statistic was the fact that I had readers from 82 countries all across the world. That is quite impressive to me and to think they all read what I’ve written here is also a tad scary. Though regardless of this I still only got a few comments, most of them from DarkFairy and fruehstuecksflocke and mostly for the Guesses. 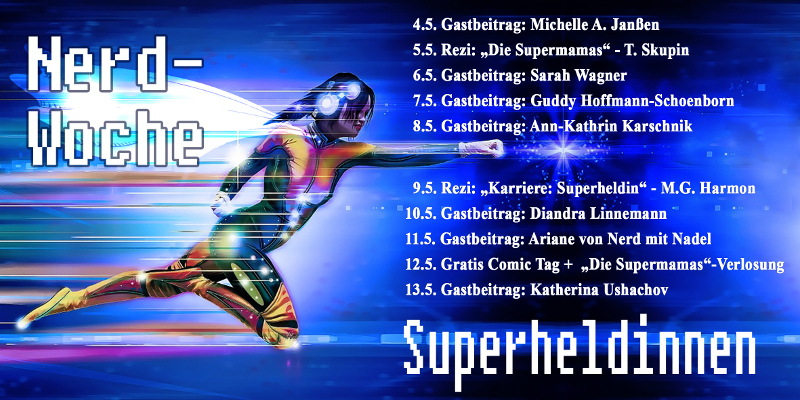 Interestingly I showed up amongst the top commenters on two other Blogs, namewise Pop goes the Culture and Weltenschmiede, where I had some quite interesting conversations. Now enough is said about it, just have a look at what the WordPress.com stats helper monkeys prepared as a 2014 annual report for this blog. 2014 was a quite interesting year. I finally got my Bachelor’s degree. I attended several pretty great festivals (Out&Loud, Rockharz, Metalfest) and concerts (Schandmaul, Van Canto, Bela B., Eluveitie/Arkona). I also travelled again and this time not just throughout Germany, but also to Ireland. And I discovered some interesting new Blogs and started a new regular post and also successfully given you my Advent Calendar. I caught up with a bunch of series (e.g. Merlin, Supernatural, Being Human, … ) and been in the cinema for a few times (like for X-Men) or watched movies on DVD. With a renewed enthusiasm I started to properly read again, resulting in a Book-Week in the week leading up to a visit to a Book Hotel and two reading challenges I participate in. And if I manage to get some quiet time today, I’ll even manage to finish my twentieth book this year (only 50 pages left). And probably many more things I can’t think of right now. So you see, a lot has happened this year. I wish you all a save journey into the new year or in short Guten Rutsch! A few days have passed since the last door of my Advent Calendar opened, but I still have a couple of things to say about it. While I completed my Calendar I thought about what will happen afterwards. I soon decided that I want to give my lovely contributors their pictures and stories as Christmas present – and so I did. At the same time I collected all of the stories I wrote – and indeed managed to translate in time – so I could give you, my Dear Readers, the possibility to read them in one go. You can download the PDF and read it to your liking and tell your friends about it. But you are not allowed to distribute it as your own work or sell it. The Calendar itself and the posts will stay on the Blog, so you can also read it here. With all the likes, follows and comments I got for the Calendar I’ll mark it as a success in my book. As I told you before, has DarkFairy picked up on the general idea of the Calendar and we want to use it for DF.PP Entertainment. So, if you enjoyed the stories of the Calendar make sure to check out Fairy and my new side-project Your Picture – A Story and send us your work, so we can continue to write such stories. I am by the way fairly certain there will be another Advent Calendar next year, though I doubt it will be with pictures again. It was an interesting experience and I’d like to continue writing in such a way, but I don’t want to create the same kind of Calendar two years in a row. So, thanks again for sending pictures, reading, liking and/or commenting and I’ll be seeing you around with my next post. Just so you know, you can look forward to another Book-Week in January and the missing posts from this and last year and hopefully one or the other story as well. 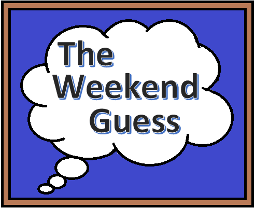 The end of the year is drawing near, but I still present to you the forty second instalment of the Weekend Guess, which is also the last for this year. Unfortunately no one tried guessing last time, so I can’t congratulate anyone. Langsam öffnete er die Augen. Es dauerte einen Moment bis er erkannte, dass das blasse Etwas, dass er gerade anstarrte die Tischdecke war. Er lag also auf dem Sofa. Mühsam richtete er sich auf und sah sich im Raum um. Noch immer brannte die Weihnachtsbeleuchtung und erhellte den sonst dunklen Raum. Irgendwer hatte auch den Adventskranz wieder angezündet. Als sein Blick jedoch auf ihn fiel, stutzte er. Auf dem Geflecht aus Tanne brannten nicht nur vier, sondern fünf Kerzen. Als er den Kranz das letzte Mal gesehen hatte, waren es nur vier Kerzen gewesen. 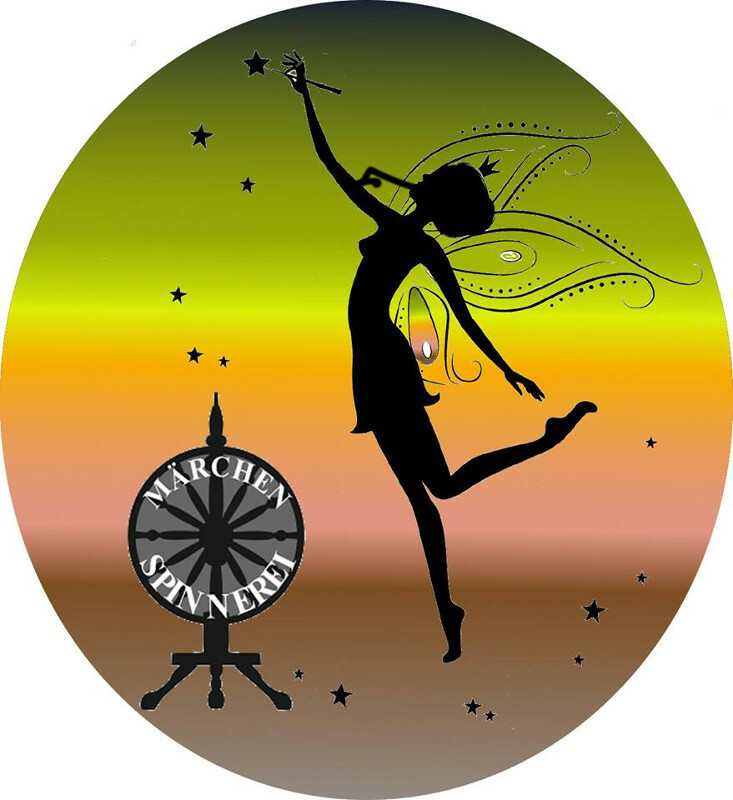 Und das war vor seinem Nickerchen gewesen. Nach dem üppigen Weihnachtsessen hatte sie sich alle etwas zurückgezogen und er hatte es sich auf dem Sofa bequem gemacht und war eingeschlafen. Und nun war es dunkel und es brannten fünf Kerzen auf dem Adventskranz. Irgendetwas war geschehen während er geschlafen hatte. Verdutzt starrte er noch immer auf den Kranz als sich die Tür öffnete. „Na, bist du auch endlich wach?“ Begrüßte ihn sein älterer Bruder und schaltete das Licht an. Er hatte ein breites Grinsen auf den Lippen. Bei seiner Schwester, die kurz nach ihm hereinkam, war es nicht viel anders. Schließlich kamen auch ihre Eltern. Sein Vater schaute ihn vorwurfsvoll an, als ob er etwas Schlimmes getan hatte. In Momenten wie diesen, fühlte er sich wieder wie ein kleiner Junge. „Hab‘ ich was verpasst?“ Fragte er in einer Mischung aus Furcht und Ahnungslosigkeit. Sein Bruder lachte und baute sich hinter dem Kranz auf, seine Schwester stellte sich neben ihn und nickte dreimal knapp. Zitierten sie fast synchron das alte Kindergedicht. Noch verwirrter schaute er von seinen Geschwistern zu seinen Eltern. Er konnte nicht einen ganzen Tag geschlafen haben. Sie hätten ihn mit Sicherheit geweckt. Als er gerade ansetzen wollte etwas zu fragen, fing sein Bruder an lauthals zu lachen und der Rest der Familie stimmte mit ein. „Bitte sag, du hast das grad‘ nicht wirklich geglaubt!“ Forderte sein Bruder ihn auf und wischte sich eine Träne aus dem Augenwinkel. Es dauerte noch einen Moment, dann Begriff er endlich. Ein breites Grinsen auf den Lippen lehnte er sich zurück. „Fast.“ Gab er zu und erntete erneut Gelächter. Da hatte sich seine Familie einen schönen Scherz mit ihm erlaubt. Slowly he opened his eyes. It took him a moment until he realized that the pale something that he was currently starring at, was the table cloth. So he was laying on the sofa. He struggled upwards a bit and looked around the room. 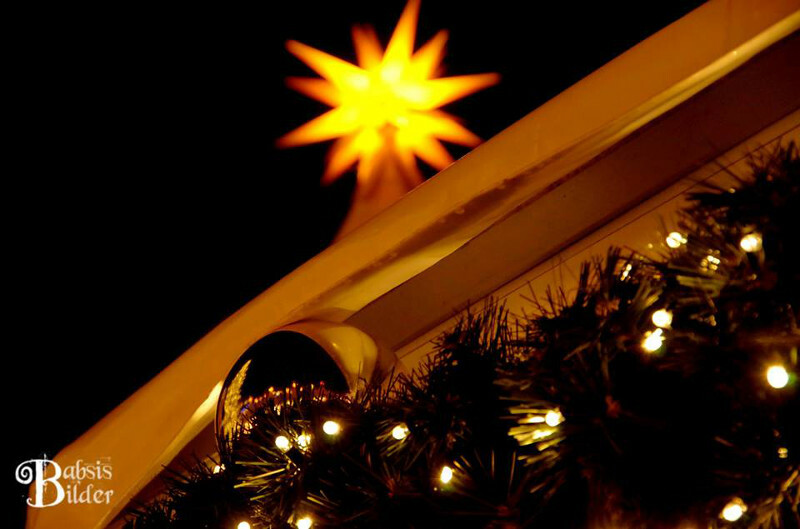 The Christmas lightning was still lit and illuminated the dark room. Someone had even re-lit the Advent wreath. Though when his gaze landed on it he stopped. Not just four, but five candles burned on the netting of fir. When he had last seen it, there had only been four candles. And that was before his nap. After the ample Christmas meal they all had retreated a bit and he had made himself comfortable on the sofa and had fallen asleep. And now it was already dark and five candles burned on the Advent wreath. Something had happened while he had slept. Puzzled he was still starring at the wreath when the door opened. „Well, are you finally awake?“ His older brother greeted him and flipped on the lights. He had a wide grin on his lips. His sister that came in after him, didn’t look much different. Eventually their parents came in as well. His father looked at him reproachfully, as if he had done something bad. In moments like these, he felt like a young boy again. „Did I miss something?“ He asked in a mixture of fear and cluelessness. His brother laughed and rose up behind the wreath, his sister stepped up right beside him and nodded shortly three times. Then Santa Claus is upon your door. They quoted the old children’s poem nearly synchronous. He looked even more confused from his siblings to his parents. He couldn’t have slept the whole day. They certainly would have awoken him. As he was about the say something his brother laughed out loudly and the rest of the family joined in. „Please tell me, you didn’t believe this just now!“ His brother urged him and wiped a tear from the corner of his eyes. It took him a moment, then he finally comprehended. A wide grin spread over his lips and he leaned back. „Nearly.“ He admitted and earned laughter again. His family had played him well this time. I hope you enjoyed the twenty fourth and final story of my Advent Calendar. The little rhyme was something I learned back in kindergarden, when we always had to quote something to get our present from Santa Clause. The additional fifth candle came a bit later towards elementary school, when the kids became a bit bolder with their poems. And let me tell you, it was not easy to translate it, but I do like my version (I haven’t found an official translation, if you know one, let me know). The original version says „Christkind“ instead of „Weihnachtsmann„, but as the child doesn’t really play a role in our customs here in the North, it was changed to Santa over the years. I thank all of my lovely photographers for giving me the pictures to fill the calendar and all of my readers for sticking through this, liking and participating in the comments. Merry Christmas! 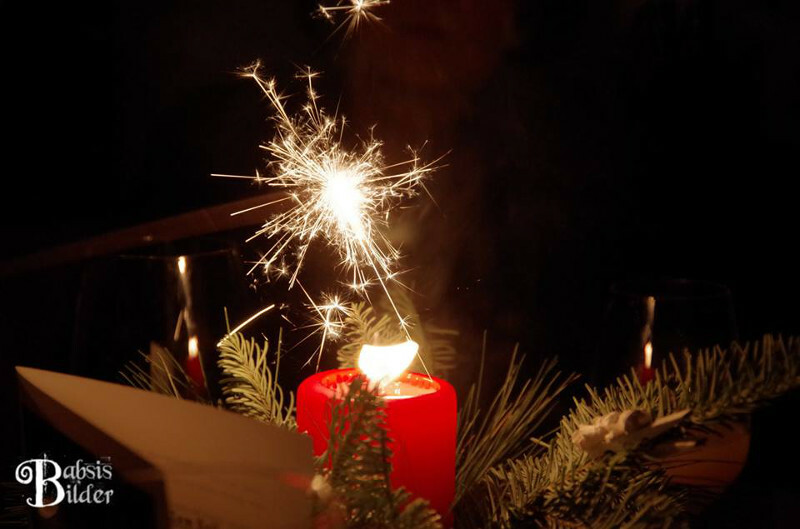 / Fröhliche Weihnachten! 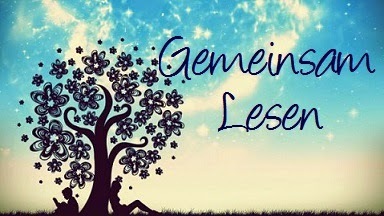 I’m on vacation and I give you the last instalment of Weltenwanderers and Schlunzenbüchers „Gemeinsam Lesen“ (Reading Together) for this year. As I finished „A Game of Thrones“ by George R.R. Martin yesterday and didn’t want to continue with The Tombs of Atuan, by Ursula Le Guin, that I wrote about last Tuesday, I thought I might as well start with my childhood favourite for BiblioSmiles’s Summer Book Challenge, which is none other than Harry Potter and the Philosopher’s Stone by Joanne K. Rowling. I’m currently on page 5, which technically is page one as I still haven’t started reading. 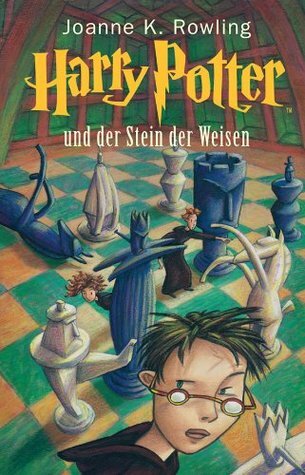 Mr. und Mrs. Dursley im Lingusterweg Nummer 4 waren stolz darauf, ganz und gar normal zu sein, sehr stolz sogar. Mr. and Mrs. Dursley in the Privet Drive number four were proud of being well and truly normal, very proud indeed. I’m quite excited to re-read this book again after nearly 15 years (if I remember correctly). In contrast to Game of Thrones 800+ pages it will be a short read with about 300 and I remember that I once managed to read through it in about a days‘ – or night’s – time. I really hope I will still like the characters like I did when I grew up. 4. The end of the year is drawing near. Did you have any goals for reading this year? If so, which were they and did you manage to reach them yet or are you going to within the last few days of this year? While I’m slowly closing in on the eleven books from the Summer Challenge, I am currently thinking of replacing the majority of the books I had counted in Fairy’s challenge and therefore would have quite a bunch of letters left to choose books for. Still, both challenges give me motivation to strive for actually reading the books I’ve chosen, even if I don’t manage them in the time frame they were set in. Leading up to our trip I will also host another Book-Week with reviews for the books I’ve read recently. Sie kam wieder spät von der Arbeit und hastete durch die Straßen. Es war dunkel und sie wollte einfach nur noch nach Hause. Ihre Hände tief in die Taschen gesteckt, den Kopf eingezogen und stur geradeaus guckend, versuchte sie sich vor der Kälte zu schützen. Plötzlich knallte es hinter ihr. Sie schrak auf und drehte sich hastig um. Es hatte wie ein Schuss geklungen und sie wollte auf keinen Fall in eine Schießerei verwickelt werden. Dann zischte etwas ganz in ihrer Nähe und sie erkannte das Geräusch. Schnell drehte sie sich um sich selbst und richtete ihren Blick auf den Himmel, um das Resultat der aufsteigenden Rakete zu sehen. Bald fand sie die Reste der goldenen Funken und sogleich surrte ein weiteres Geschoss empor. Eine wahre Pracht von Raketenblumen erhellte bald den Nachthimmel. Mit einem breiten Grinsen beobachtete sie das Schauspiel. Auch wenn Feuerwerke nur unter bestimmten Bedingungen erlaubt waren und das hier vermutlich illegal war, schaute sie ihm gerne zu. Doch bald schon war es vorbei und sie musste weiter ihrer Wege ziehen. Diesmal jedoch hatte sie ein Lächeln auf den Lippen und ging aufrecht, die Kälte war vergessen und die Bilder des Feuerwerks begleiteten sie. She came late from work again and rushed through the streets. It was dark and she just wanted to get home. Her hands deep in her pockets, her head ducked and stubbornly looking ahead, she tried to shield herself from the cold. Suddenly she heard a bang behind her. She was startled and turned around in haste. It had sounded like a shot and she didn’t want to be caught in a shooting at all. Then something fizzled close to her and she recognized the noise. She turned quickly around herself and looked up into the sky to see the result of an ascending skyrocket. Soon she found the remains of golden sparks and immediately another projectile buzzed aloft. A real glory of rocket flowers soon illuminated the night sky. With a wide grin she watched the spectacle. Even though there were certain rules for fireworks and this one was probably illegal, did she enjoy it. Though soon it was over and she had to go her ways. This time though she had a smile on her lips and walked upright, the cold forgotten and accompanied by the pictures of the firework. I hope you enjoyed the twenty third story. 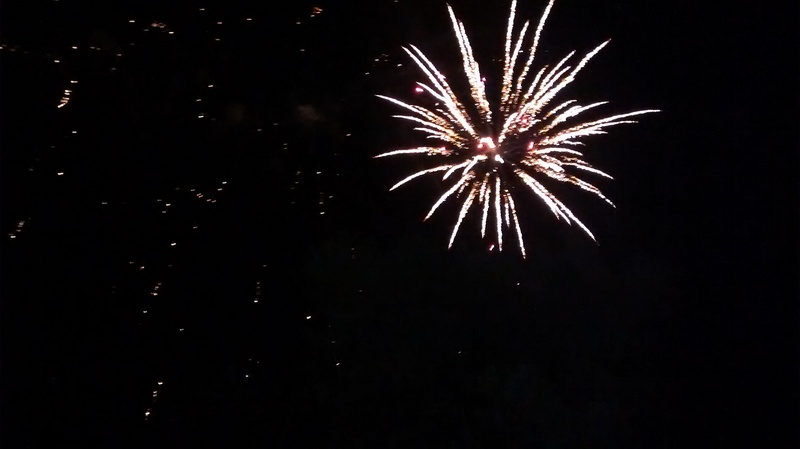 I really like fireworks, especially those that are perfectly scheduled with music. But here in Germany you are only allowed to sent up fireworks when you have an allowance (for celebrations like weddings or big parties or fireworks events) or it is actually new years eve, but people usually start as soon as you can officially buy the stuff a couple days earlier.